I dropped by Kintaro Bento a while back for lunch and I think I found a little gem. The little restaurant, just down the street from Dojo, was almost full when I got there. I was lucky to get the last single table, quickly served by one of the very friendly staff there. What I liked about the place was how quickly everything was done. At the same time, I didn’t feel like anyone was annoyed or rushing me into anything. It was a pleasant change from the usual service attitude I was used to. I asked them for a recommendation, and they immediately gave me an idea of what I should order. The Chicken Soboro Bento, according to them, was one of their best sellers. I'm at Kintaro Bento for lunch today. Fast, efficient and friendly service. Love the soup broth and the cute Bentos. I'm having a Sobotoro Chicken Bento. Consistent with my earlier experience with the seating, I was quickly served with my bento. The Chicken Soboro is a sweet, savoury treat accented with the taste of pan-fried soy shiitake mushrooms. The rice and miso-marinated chicken soboro would not have made an impact on me if taken seperately but when mixed together, it was rather satisfying. #tgif Lunch at @kintarobento today. Tender #beef slices and fluffy rice makes all the difference to today's lunch. Make no mistake, Kintaro Bento is solid value for money. I also had the chance to sample their Tender Gyudon Bento. The slides of beef were tender as promised, had just enough fat and sat on that same bed of fluffy rice. I loved that the portions were just right, not too much rice and not too little meat. If you like eggs, you’ll also be happy to know that this bento comes with Ajitsuke tamago. 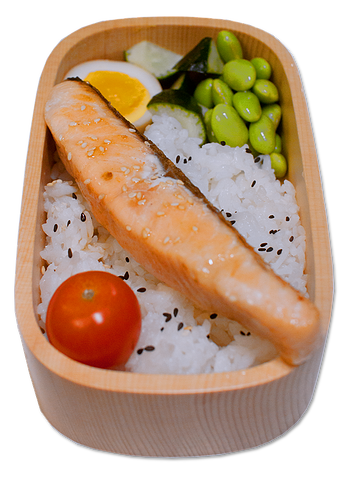 As for other items on their menu, the ladies would be glad to know that there’s a low calorie Salmon Bento, perfect for those of you who want to eat lean and clean. I saw quite a few ladies (and guys) tucking into this one. If you’re a carnivore, they’ve also got you covered. The Double Happiness Beef & Pork Bento will end your meat cravings for the day. 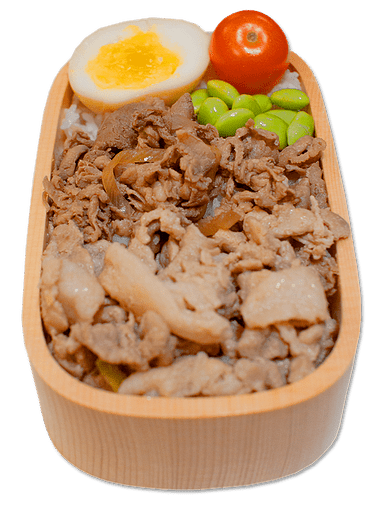 It’s a mixture of their best selling stamina pork garlic & gyudon and comes with Ajitsuke tamago with runny yolk and the requisite vegetables.